For nearly twenty years Kidd’s South Australian industrial law product has greatly assisted South Australian lawyers and industrial advocates quickly find relevant precedents for giving accurate and timely advice, negotiating settlements, and for formulating submissions for the South Australian Industrial Court and Commission. Since 2009 and the advent of the Commonwealth Fair Work Act, this South Australian law publication has had to expand into the federal area. All that is stated elsewhere on this web-site in relation to Kidd’s Fair Work & Annotated Act is true of this product, since Kidd’s Fair Work & Annotated Act grew out of it and is a sub-set of it. 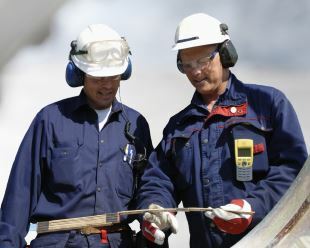 The South Australian Industrial & Occupational Health & Safety legislation annotated in this publication includes the Fair Work Act 1994, Industrial & Employee (General) Regulations 1994, Industrial Proceedings Rules, Long Service leave Act & Regulations, and the Occupational Health & Safety Act and Regulations. The Work Health & Safety Act & Regulations are also annotated. South Australian industrial law cases from 1990 onwards are comprehensively indexed as well as leading cases going back even further. The coverage of issues is exceptionally broad such that the user is likely to find useful precedent on issues not so easy to find authority on. The South Australian occupational health & safety law division provides the state’s premier source for easily finding comparative sentencing cases for OHS breaches. The product is updated quarterly for $800 p.a. (e-version only). Weekly e-updates are included. The service can also be purchased as a one-off for $500 (e-version).